We would like to let all of our fans, readers and contributors know that OG’s Speculative Fiction, Issue 36 will be coming out soon. We have determined that after six years of publishing the magazine that this will be our final issue. We appreciate the support you have given us these past six years and hope that you have thoroughly enjoyed reading the issues. 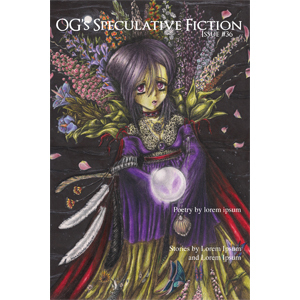 We hope that you come back later this month and check out the final issue of OG’s Speculative Fiction. Until then we hope you enjoy some of our previous issues of OG’s Speculative Fiction if you haven’t read them yet.